It&apos;s a term that has been cemented into the minds and vocabularies of Millennials everywhere: Netflix and Chill. For those of you living under a rock and have no idea what a night of &apos;Netflix and Chill&apos; entails, here&apos;s a definition from Urban Dictionary to help clear up any confusion. 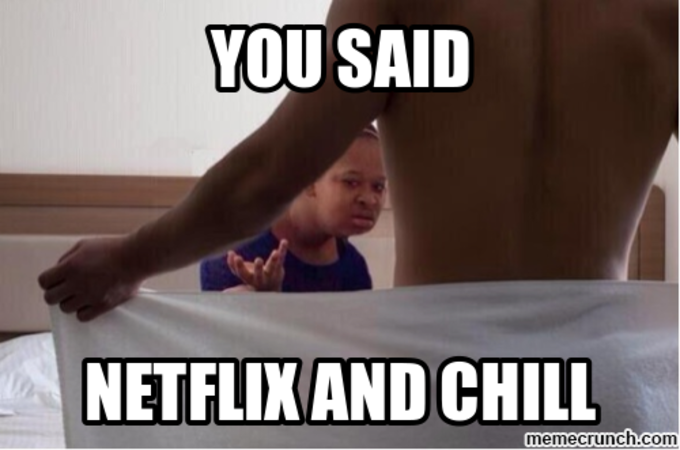 Netflix and Chill: It means that you are going to go over to your partners house and f*@k with Netflix in the background. Brad: "Hey Julia wanna come over and watch Netflix and chill?" Julia: "Sure. I&apos;ll pick up the condoms." Brad: "Wait, I thought we were just gonna watch Netflix and chill?" Julia: "Netflix and Chill means we f*@k, dumbass." Now that you&apos;re mentally prepared for the night ahead, allow us to take it one step further and eliminate any work on your end all together by breaking down a list of the &apos;Top 10 Movies for Netflix and Chill.&apos; We searched high and low through all the corners of Netflix Instant and gathered movies that will ensure a smooth transition from Netflix to Chill. Grab a blanket for the couch, dim the lights down low, text your bae, and peep the video above for the optimal Netflix and Chill experience.